Set the unique identifiers for the DreamHouse app. Restart the app to poll Heroku Connect for new data. Verify the app is up and running. 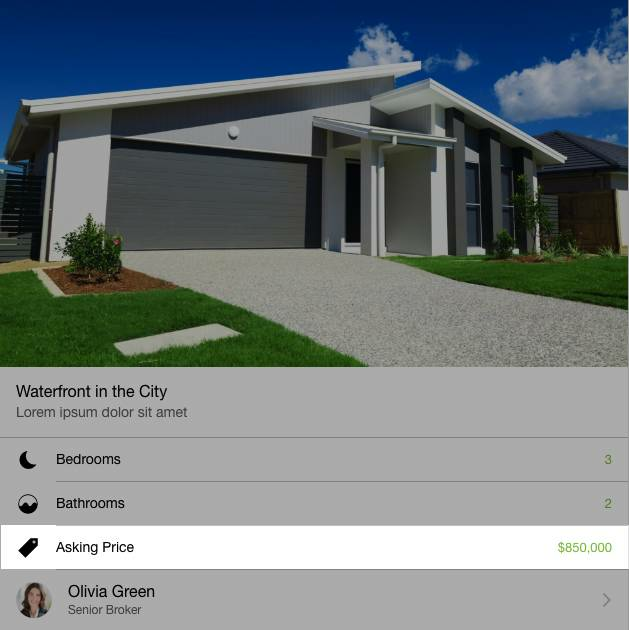 Currently, we have a properties listing on our DreamHouse app. This information is displayed only from the Postgres add-on we provisioned in the previous step. To see the properties you imported into your Trailhead Playground, we need to establish a connection between your Trailhead Playground and your Heroku Postgres database by creating mappings. In your Trailhead Playground, go to Setup and select Object Manager. Click Broker and select Field & Relationships. Click Email and click Edit. Select Unique and External ID. Click the Object Manager tab. Scroll down and click Property. Click Address and click Edit. Go to your Heroku Dashboard, https://dashboard.heroku.com. Click your new DreamHouse dev app, dhdev-UNIQUE_ID. Click Resources on the Heroku dashboard. In the Add-ons field, type connect. Select Heroku Connect and then click Provision. After adding Heroku Connect, click Heroku Connect and it opens a new tab. Using your Trailhead credentials we reset in Step 1, authorize your account. Once you authorize Heroku to access your Trailhead Playground, you’re redirected to the Heroku Connect dashboard. Click the Mappings tab and select Create Mapping. In the search bar, type prop and select Property__c. Select Write data updates to Salesforce…. In the dropdown, select the unique identifier we set in our Trailhead Playground, Address__c. Select the checkbox for Address__c, Baths__c, Beds__c, Broker__c, City__c, CreatedDate, Description__c, Location_Latitiude__s, Location_Longitude__s, Name, Picture__c, Price__c, State__c, Status__c, Thumbnail__c, Title__c, and Zip__c. Type brok and select Broker__c. Select Write data updates to Salesforce… In the dropdown, select the unique identifier we set in our Trailhead Playground, Email__c. In the Mapped Fields section, check Created Date, Email__c, Mobile_Phone__c, Name, Phone__c, Picture__c, Title__c. Type fav and select Favorite__c. In the Mapped Fields section, check CreatedDate, Name, Property__c, User__c. After you click save, you’re redirected to the Mappings tab. Return to the DreamHouse dashboard, http://dashboard.heroku.com. Click View Logs. Once the restart is complete, you should see two lines saying, State changed from starting to up. Click Open App to reload the running app. Take note of the DreamHouse URL in your browser, for example, https://dhdev-UNIQUE_ID.herokuapp.com/. Select the menu icon and click Properties. Just like earlier, you see a list of properties for sale. In addition to the 12 properties stored in PostgreSQL, the additional properties stored in your Trailhead Playground are also replicated and shown in your DreamHouse web app. Open the property titled Waterfront in the City. Scroll down and take note of the Asking Price. Return to your Trailhead Playground. Click the App Launcher and select DreamHouse. 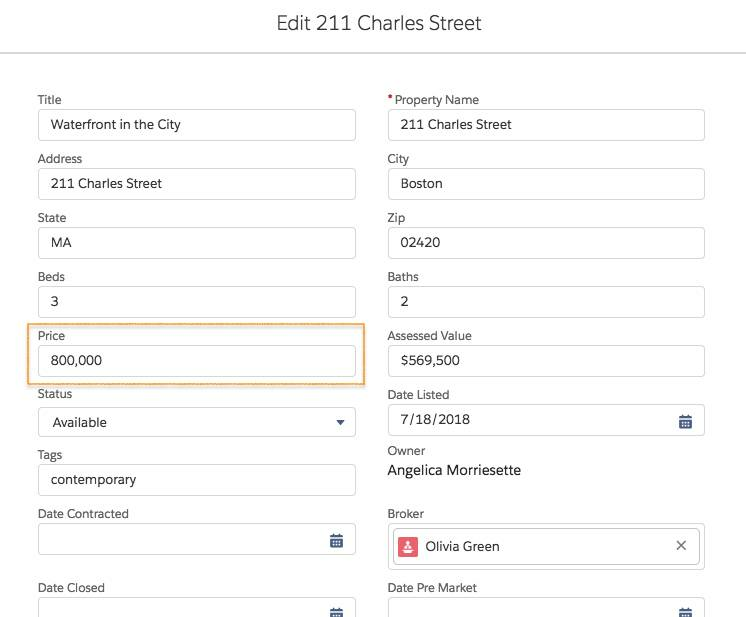 Go to the Properties tab and select the Property Name, 211 Charles Street. Click the edit pencil next to Price to edit. Change the price to $800,000. Navigate back to your DreamHouse app, https://dhdev-UNIQUE_ID.herokuapp.com/. Scroll down and see that the price changed to $800,000.